Dealer-mate pre-fills your customer’s existing credit application and sends it to the network, so lenders can compete to give your customer the perfect payment plan. All you have to do to access Dealertrack from Dealer-mate is enter the login information you’ve received from these networks once. 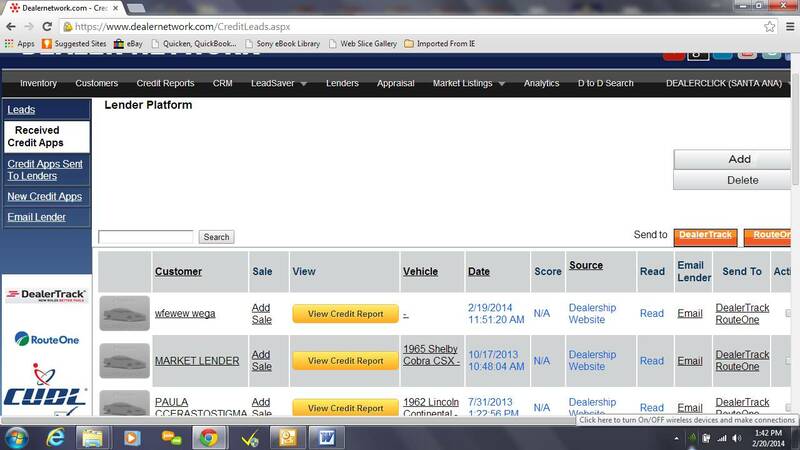 Dealer-mate remembers these credentials and logs you in automatically each time you want to send out a credit application.Dealer-mate integrates with Dealertrack, some of the most diverse lending networks in the business. Whether you’re looking for captive, non-captive, credit unions, prime or non-prime lenders, Dealertrack provides your sales team with powerful resources for closing deals. From any Dealer-mate deal screen, you can connect directly to your lending network of choice to submit a request for personalized financing offers.